Brussels/Las Vegas, 3 October 2018 - Pauline Boyer Martin from the French casino group JOA has been announced as the winner of the first-ever Executive Development Program (EDP) gender diversity scholarship. The scholarship was set up by the European Casino Association (ECA) together with partners Clarion Gaming, the Association of Gaming Equipment Manufacturers (AGEM) and the EDP. EDP is a partnership program between UNLV International Gaming Institute (IGI) and the University of Nevada, Reno College of Business and Extended Studies. Through the scholarship, Ms. Boyer Martin will participate in the 28th edition of EDP from November 10 - 18 in Lake Tahoe, Nevada (USA) alongside global gaming executives and international rising stars in the industry. 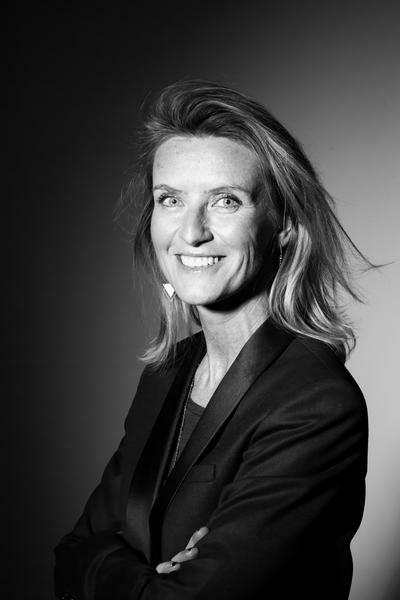 Ms. Boyer Martin is the Marketing Director of French casino group JOA, the third-largest land-based casino operator in France that itself is a member of the ECA through the trade association Casino de France. Before joining the company in 2007, she held leading positions at luxury goods company LVMH and in the fashion industry. Besides her position at JOA, she is also involved in education and teaching at Lyon Business School and sits on a number of committees of French football club Olympique Lyon. The program explores new industry ideas, leadership strategies, and an opportunity to network with other gaming professionals from around the globe. Themes in 2018 include women in leadership, safety and security, responsible gambling, and corporate social responsibility with an overall focus on Europe. Visit the EDP website to learn more about the program. For more than 25 years, UNLV International Gaming Institute (IGI) has provided research-based solutions, cutting-edge insights, and executive education to the global gaming industry. With expertise in areas like gaming and hospitality innovation, regulation and policy, esports, diversity, and responsible gambling, IGI has been called upon to provide its research to more than 50 jurisdictions across the globe. In addition to these offerings, IGI proudly emphasizes diversity and community outreach through initiatives like the Young Executive Scholars Hospitality & Tourism Program (YES), which gives high schoolers a behind-the-scenes look at the career and educational opportunities that the hospitality industry provides. Visit igi.unlv.edu. The European Casino Association (ECA) represents 28 member countries with around 1000 licensed land-based casinos in Europe supporting local economies across Europe. It has members from nearly all EU Member States, as well as non-EU countries. The main purpose and objective of the ECA is to address and promote issues related to casinos and promote the positive contribution of the industry. To find out more about the ECA, please click here. Extended Studies at the University of Nevada, Reno is the world’s premier provider of gaming management education, offering opportunities for professional development through its certificate program, management programs and seminars, and international executive development program. In addition to our programs located in Reno, Extended Studies also offers courses customized to industry, casino, and organization needs, using practical application and methods designed by industry experts, brought to your location, reducing expenses and increasing attendance. Visit www.gaming.unr.edu. Part of the leading international intelligence and experience provider Clarion Events, Clarion Gaming apply great chemistry to everything we do covering an events portfolio which includes ICE London and iGB Live!, print and digital publishing brands, iGaming Business and TotallyGaming.com and encompassing our dedicated training and development brand the Totally Gaming Academy. Gaming is a global business and we have developed a joined up global strategy to help our customers meet their commercial and strategic objectives throughout the world. Visit https://www.clariongaming.com. AGEM is a non-profit international trade association representing manufacturers and suppliers of electronic gaming devices, lotteries, systems, table games, online technology, key components and support products and services for the gaming industry. AGEM works to further the interests of gaming equipment suppliers throughout the world. Through political action, regulatory influence, trade show partnerships, educational alliances, information dissemination and good corporate citizenship, the members of AGEM work together to create benefits for every company within the organization. Together, AGEM has assisted regulatory agencies and participated in the legislative process to solve problems and create a business environment where AGEM members can prosper while providing a strong level of support to education and responsible gaming initiatives. For more information, visit http://www.agem.org/.